Training you as a rider I will be taking into account the various characters along with talent, ability, experience and performance level to find a common language. We decide on the desired training goals and shows together, according to the horse's age and level of training. Your horse will be optimally prepared for competition entry. On my Youtube channel you will find a selection of sports horses that are currently for sale. Just click the button below to have a look! Are you interested in buying a sports horse? Or do you have questions regarding the training of rider and horse? Give me a call: +49 171 8594299. 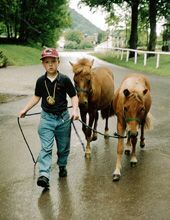 Felix was born to a riding family in Tholey in Saarland on 2 September 1988. Both his father, German, and his brother, Axel, were committed to show jumping. It was therefore only a matter of time before Felix was entering lead-rein classes in competition and he quickly found his way into show jumping. His first trainer was the successful Nations' Cup rider, Alois Pollmann-Schweckhorst. He was subsequently further encouraged by Stefan Abt. He was soon a member of the Saarland show jumping squad under their trainer, Manfred Reitmeier. 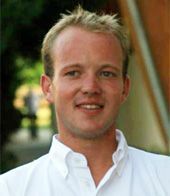 Nationwide, Dietmar Gugler recognised his talent and recruited him for the German National Junior Riders Squad, and later for the German National Young Riders Squad. Felix was the Saarland champion for juniors and young riders. He went on to take part in numerous German championships. At the age of 18, he had already received the 'Goldene Reitabzeichen' (Golden Riding Award). In 2007, he won the final of the 'Preis der Besten' (Prize of the Best) competition in Warendorf with his horse, Credo. After finishing school, Felix turned his hobby into a career. He completed his training as a fully qualified groom, specialising in classical riding training, at the Glanemann competition yard in Füchtorf in collaboration with Marion Ostmeyer. He gained his edge in dressage at the Gut Rothenkircher Hof estate in Kirchheimbolanden with Uta Gräf and his uncle, Stefan Schneider. After successfully completing his training, he soon landed on his feet and is now based at the stable “Am Liesenfeld” in Erkelenz. Here, he trains horses, shows them in competitions and, in the meantime, can look back on 50 victories in the advanced class and many international successes.